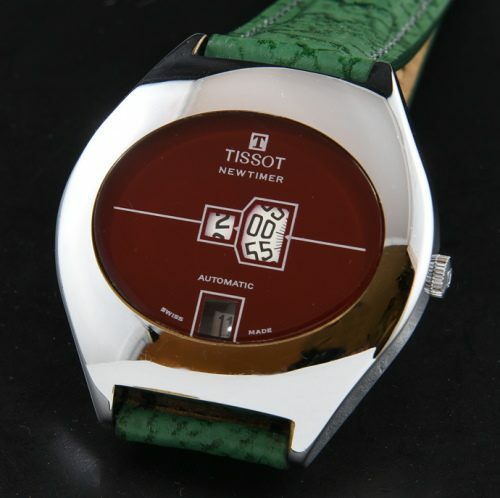 This circa 1974 TISSOT NEWTIMER direct-read is a very uncommon version of this watch. The case measures 40.5mm. in steel with the original crystal and crown. The original oxblood dial is such a rich and alluring colour. The steel case is pristine. The automatic winding TISSOT jump hour movement was just cleaned and is accurate. This watch is essentially unused and looks new. You just don’t find these watches.